Our oldest son was born when we were very young, and still college undergraduates. We had many years left of being poor students, and didn’t have money for many extras. I was so excited, and wanted to do really fun things for all the holidays, but it meant coming up with inexpensive ideas and ways to celebrate. 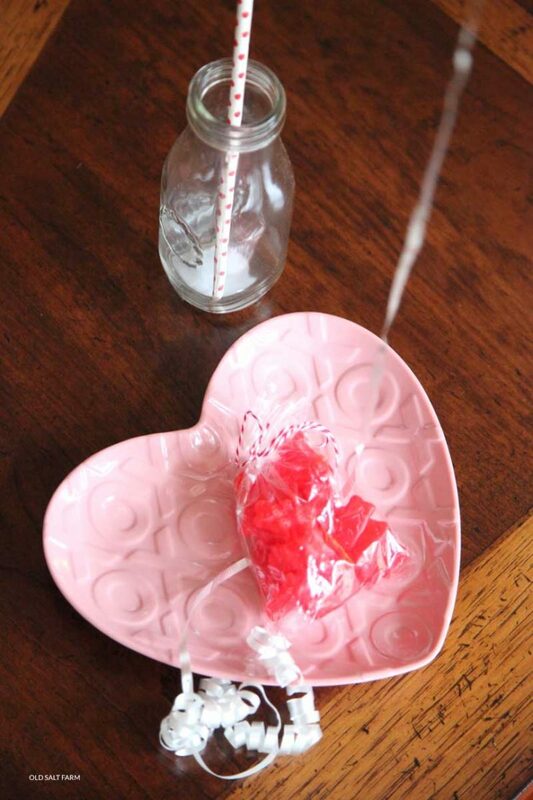 One Valentine’s Day morning, I surprised him with a cute heart balloon tied to his chair at the table, along with a little bag of candy. When he came down the stairs and into the kitchen and saw what had been left for him, squeals of excitement filled the air. It was a simple thing, and didn’t cost a lot of money, but he loved it so much, and was completely thrilled. I knew then and there that it was a tradition that would continue. 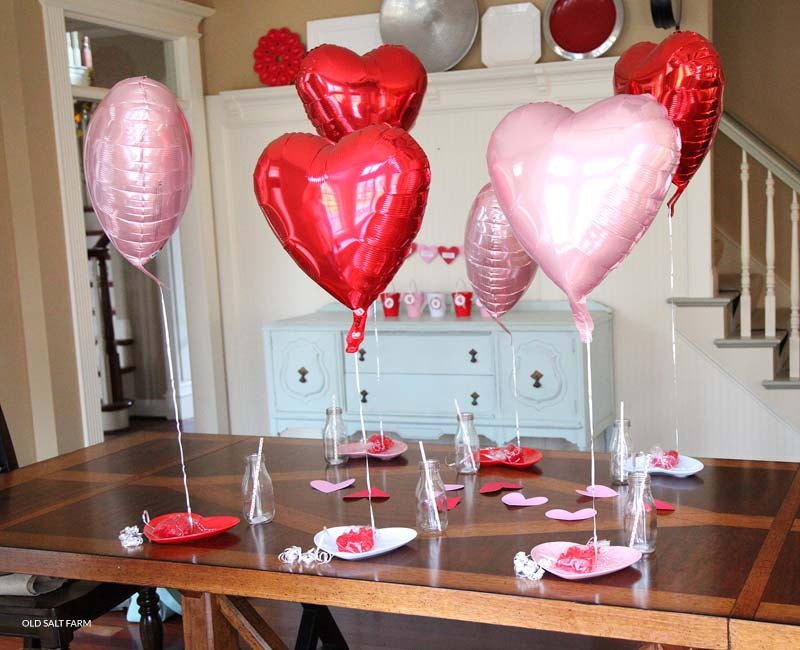 It’s been awhile since that first balloon surprise, college degrees have been completed, and we’ve added five more children to our family, but I still put out a Valentine balloon and bag of candy out at each child’s plate to be found when they dash down the stairs on Valentine’s Day morning. I wait until they’re fast asleep on Valentine’s Eve, and then I go to work, setting everything out, and getting the table set for breakfast. 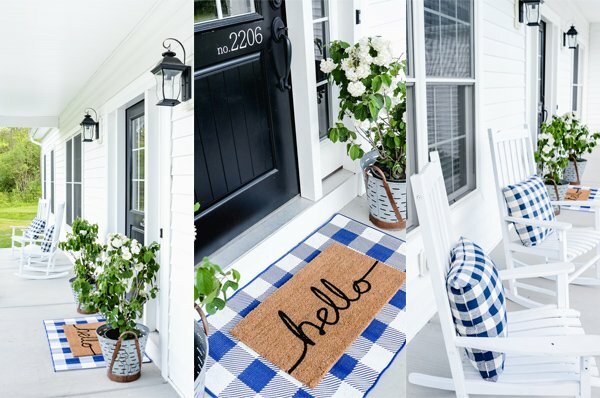 It’s so simple, and a small gesture, but one that fills our home with joy! ♥ Check your local dollar store to see if they have helium balloons—I always look there first, and I’ve found that they have really reasonable prices, and usually a good selection! Our local grocery stores also have balloons for all the holidays. ♥ There are some really fun options for candy containers: takeout boxes, paper treat bags sealed with washi tape, mason jars, wrapped boxes, and clear plastic treat bags. All of these items can be found at your local craft or hobby store. I’ve used all of those things before, but I actually use sandwich bags a lot—I just use scissors to cut the Ziploc part off the top! I always have them on hand, so it makes it really easy and inexpensive. ♥ I fill the bags with candy, tie them shut with ribbon, and tie the balloon onto the bag. 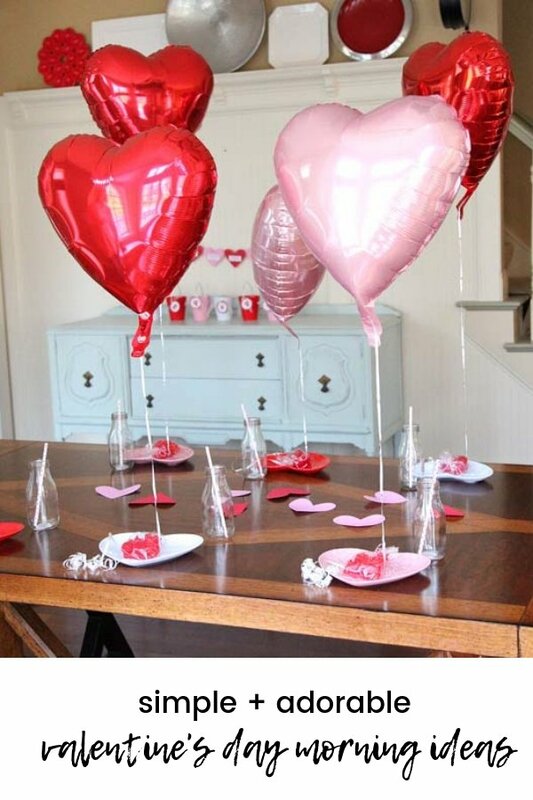 The candy holds the balloon in place, and they look so cute on the kitchen table! It’s the decorations and the treat, all in one! ♥ For breakfast, I pick up our favorite doughnuts, then make Pink Hot Chocolate! ♥ One of our favorite Valentine’s Day traditions is our Love Buckets, and we always look through our buckets and read all the notes that morning. I also like writing special notes to leave at each of their plates. 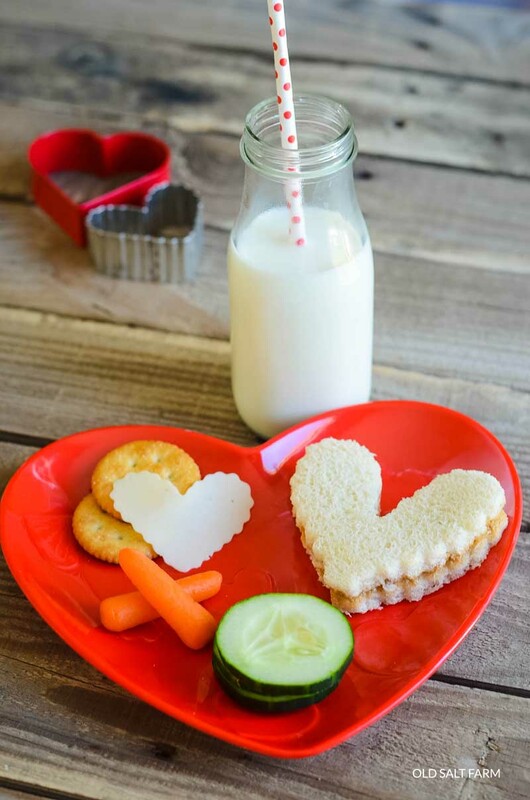 ♥ For their school lunch, I like to make everything heart shaped! Cheese, sandwiches, even veggies! CLICK HERE TO JOIN MY NEWSLETTER: DON’T MISS A THING! Thanks, Kierste. 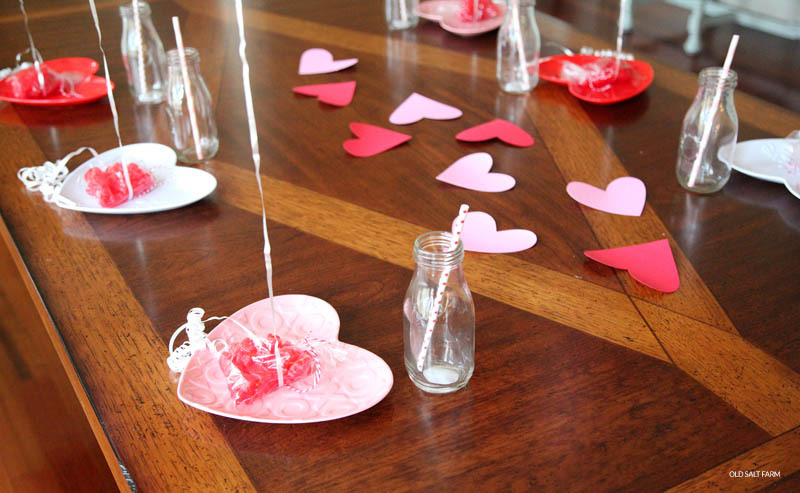 My kids are 13, 15 and 18 and I thought Valentine cuteness was over for us, but you inspired me to surprise them tomorrow morning. Thanks for the inspiration.